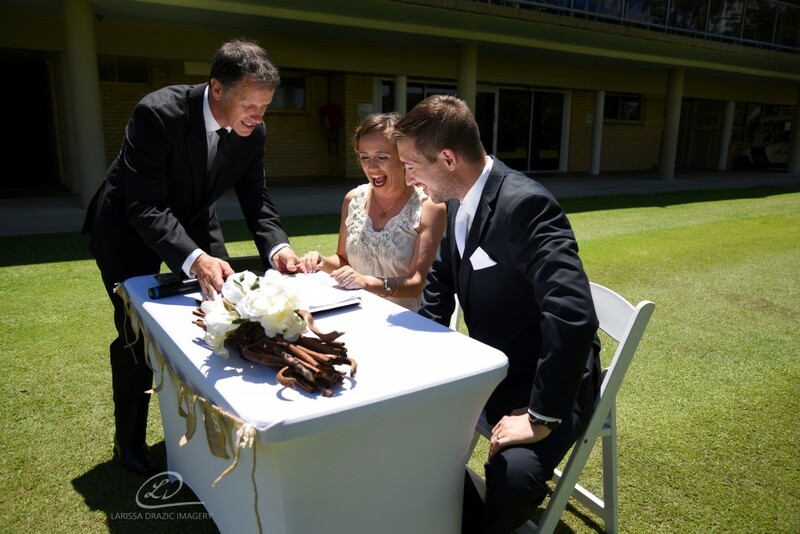 To say I am absolutely blown away with the Celebrant recommendation I received from Flora and Ben following their very special big day would be an understatement! 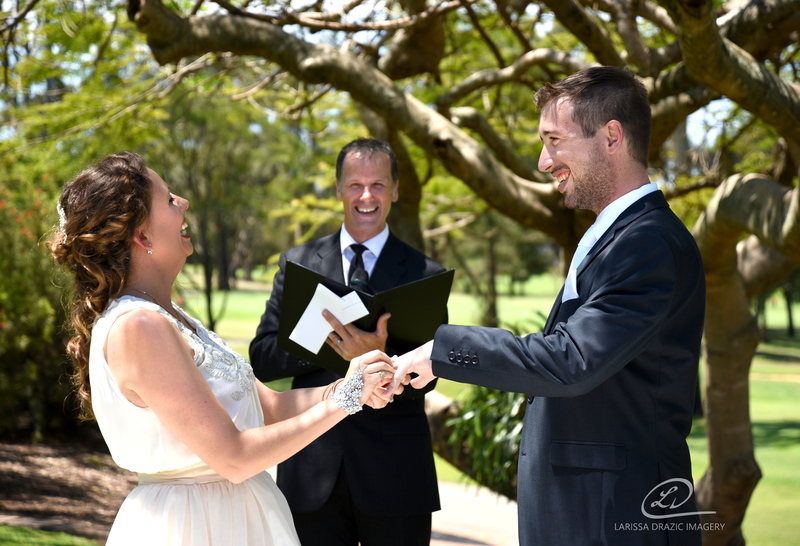 Flora and Ben enjoyed a stunning ceremony on a beautiful day beneath a tree at the Pacific Golf Club in Carindale and it was all captured perfectly by the lovely Larissa of LD Imagery. 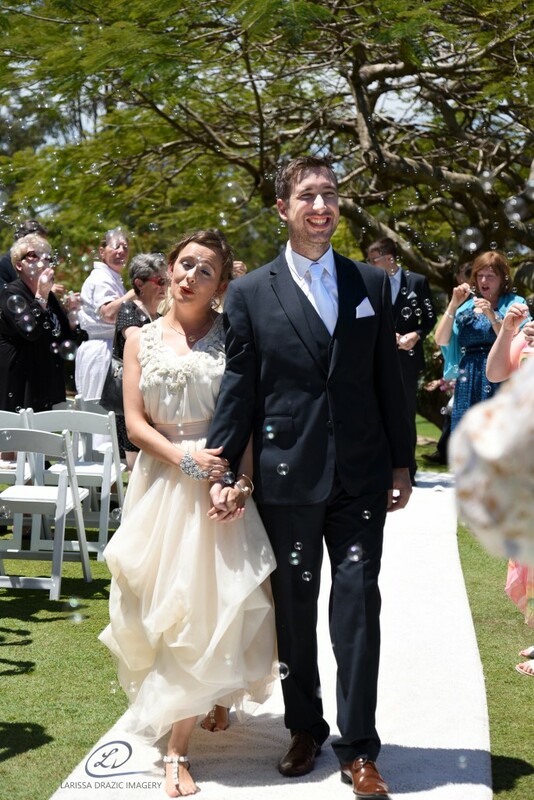 During their ceremony, we shared the story of how they connected and grew together, they exchanged vows and rings then sealed the deal before making their way back down the aisle as their guests showered in bubbles! Here is the glowing recommendation I received from the groom on behalf of the happy newlyweds. “Jamie – what can I say! You are a gentleman and a genuine master of your craft. You put me at ease and your own love for life shines through in your work. Ben also left the following 5 star review on our Brisbane City Celebrants Facebook page. “Wow! Jamie is an absolute professional whose passion for life, calm and caring personality is just brilliant. He made some great suggestions regarding the ceremony so I would say he has a ‘consultative’ approach which really sets him apart. Jamie calmed my nerves and kept it fun. He even managed to keep me (the husband) engaged in planning / scripting of the vows which is no easy task, ladies take note: Jamie actually got a man to do some planning haha! I am only getting married once, but I would have no hesitation in recommending Jamie to family, friends and colleagues. You can truly get a sense of this couples happiness and excitement in these images of their Pacific Golf Club Wedding. 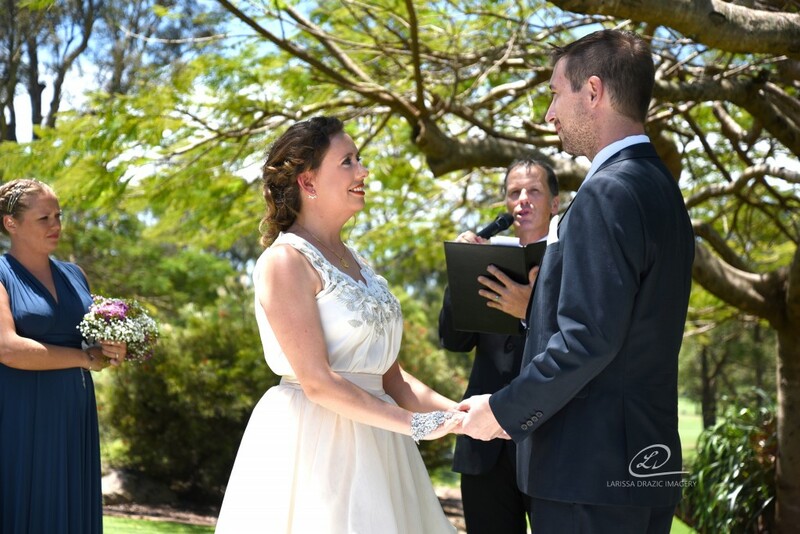 I am so grateful to the happy newlyweds for being so awesome to work with throughout the process of planning their ceremony, and also to Larissa of LD Imagery for being kind enough to share these perfectly captured images of their special day with me. 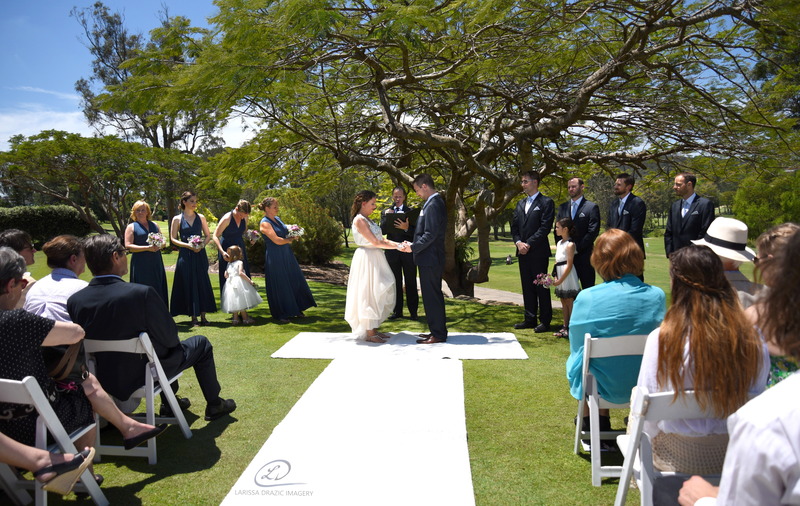 If you are looking for a Celebrant that specialises in happy upbeat weddings, for your Pacific Golf Club wedding or elsewhere in Brisbane, Brisbane City Celebrants would LOVE to hear from you! Contact us now for availability confirmation for your special day.